Complete your rag doll costume with this brilliant wig! 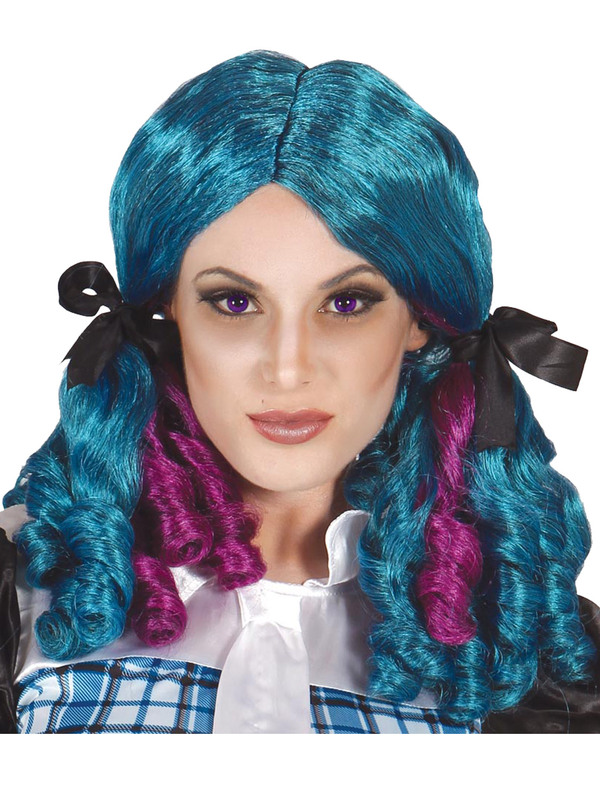 Includes a bright blue wig styled into ponytails tied with black bows and with purple and blue ringlets. Check out our shop for all our Ladies Halloween themed costumes and accessories.